Hurricanes and wildfires have affected many animals this year. Smaller-scale events can also cause anxiety. Here's how to spot trouble and help your flock. As the United States reels from the devastation of hurricanes Harvey and Irma and wildfires in West, relief efforts have started to ease the suffering felt by these disasters’ victims. Humans aren’t the only ones who experience the ravages of these catastrophic events. The severe weather shifts, changes in barometric pressure and air quality, and the overall destruction severely traumatizes animals and triggers anxiety. Animals such as pronghorn, mule deer and elk are losing their habitat to the fires and sometimes their lives as they flee in panic, often into the path of vehicles or the fire itself. Hurricane Harvey left thousands of Texas cattle starving, while Zoo Miami lost several birds because of the stress caused by Hurricane Irma. 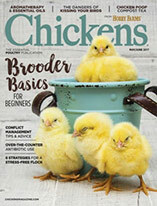 If you’ve been affected by these storms or fires, your chickens might be tense and experiencing anxiety. Smaller-scale natural disruptions that affect your farm can trigger similar reactions. 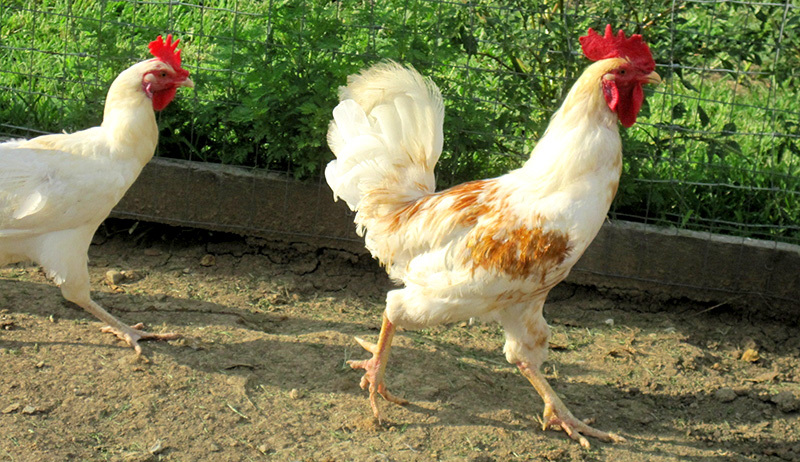 Your chickens also might not show symptoms of their emotional turmoil until they go into shock. To help your flock feel safe and secure—even when your own world is still turned upside down—follow these four steps. As soon as physically possible, set your birds’ habitat straight. Remove boards from coop windows and tarps from enclosures and fences. Dispose of any debris that has landed in, on, or around their run. If their bedding is even slightly soggy or retains any scent of smoke, compost it all, give the coop interior a thorough scrub, then add fresh litter. Empty your feeders and waterers, then scrub these thoroughly as well, filling them with fresh rations and water. The sooner all traces of upheaval are gone, the quicker your birds will settle down and start to shake the anxiety. Stress is often physically draining and can even be life threatening for your chickens; this is especially true for those who’ve suffered injuries. To help them battle the effects of stress, consider boosting their protein intake for a week. Switch to a feed with a higher protein ratio, such as that for gamebirds and infant poultry. Offering a dietary supplement such as Calf Manna can also increase your birds’ protein levels. Dried mealworms and crickets also provide a source of natural protein that your flock will enjoy. 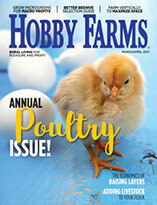 Make sure you employ this dietary change temporarily: Too much protein can cause gout and other conditions in poultry. Your presence might be all the reassurance your chickens need to calm down and shed anxiety and stress. This is especially true if your birds are accustomed to having you in their midst. Spend some time in their run simply being visible or, even better, talking to them. Your birds will begin to relax, and so will you, even if you have a to-do list that’s a mile long. It’s a bad idea to make changes to your flock during a time when your birds are emotionally strained. Introducing new birds is stressful in and of itself. To do so at a time when your existing birds are already flustered and anxiety ridden can shatter their fragile calm and lead them into shock. 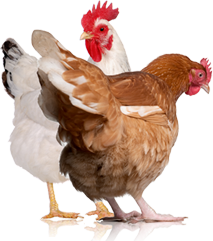 If you are eager to rescue chickens rendered homeless by calamity, do so, but do not pen them with or anywhere near your existing flock. Should you notice any of these symptoms, contact your county extension office for a referral to a nearby exotic-animal or poultry veterinarian. With any luck, however, you can swiftly get your traumatized birds settled and free of anxiety.